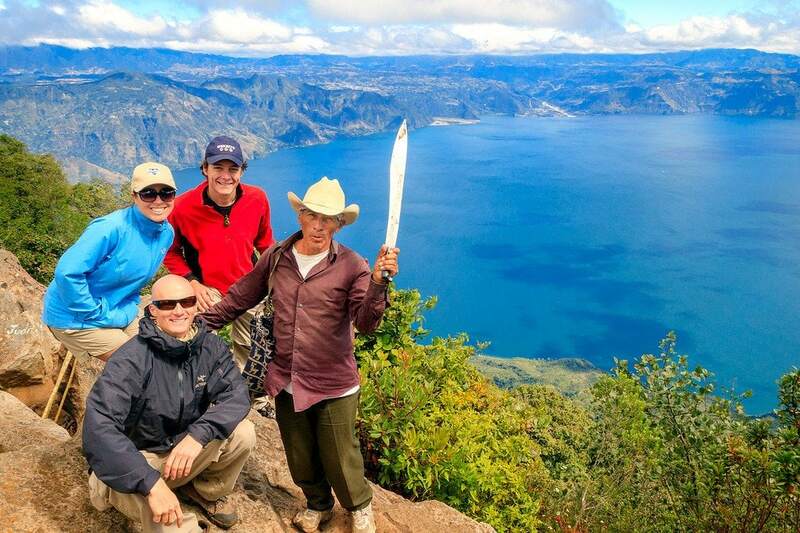 It was time to conquer Volcano San Pedro, on the shores of beautiful Lake Atitlan. The 9900 foot extinct volcano had been sitting there, laughing at me for the past few weeks. Three of us ended up deciding to hire a guide, even though I’m not a big fan of that. But it turned out we would’ve needed to pay the same fee to enter the trail on our own anyway. Plus there are no trail signs (probably on purpose). Ultimately I was happy we did it though, because the man we got was worth every penny! The day began when we met our older & experienced guide Pedro at 7am. We jumped in a little TukTuk for a ride up to the trailhead. 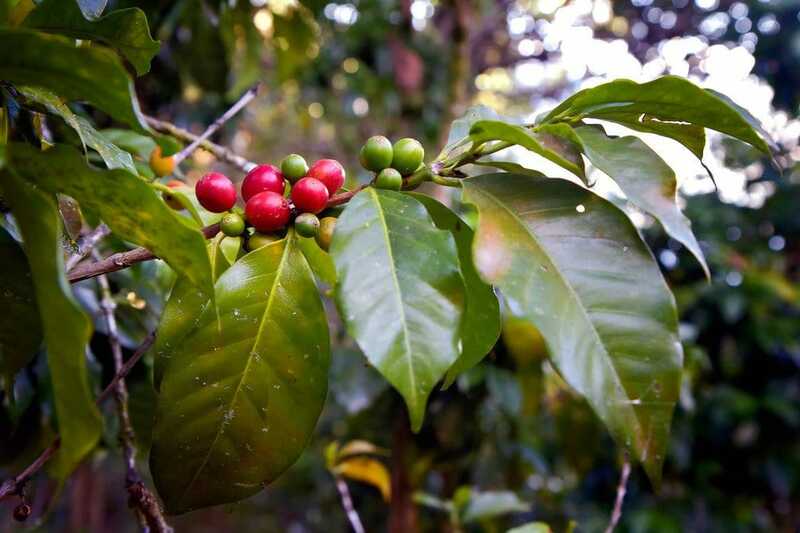 After checking in at the hut, we began walking up a path through thousands of coffee trees. Soon after came steep mountainside corn fields. The dark volcanic soil is incredibly rich in nutrients, which is why the locals grow many of their crops up here. 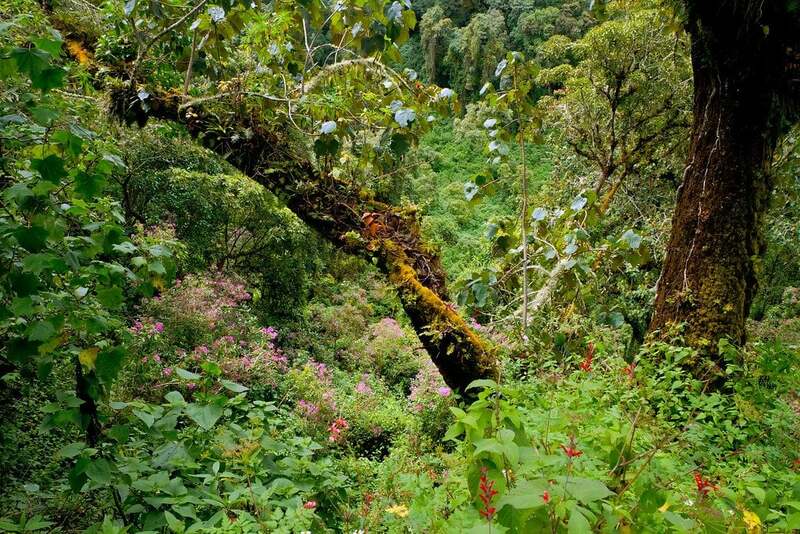 About an hour into the hike, the landscape started turning into lush green jungle. I now realized why Pedro had brought a giant machete! You could see that trees would sometimes fall across the path, and Pedro was not only guiding us, but also helping to maintain the trail itself. It was wet, muddy, and steep, so Pedro cut some fresh walking sticks to help us out a bit. Vines began dropping down out of the trees, creating a tangled web. I started seeing all kinds of flowers, mushrooms, trees, and other plants that I had never seen before. It was all completely new to me, and I loved it! Finally we reached the top after about 3 hours of hiking. The view was spectacular! Lake Atitlan was spread out before us, surrounded by mountains and other volcanos. 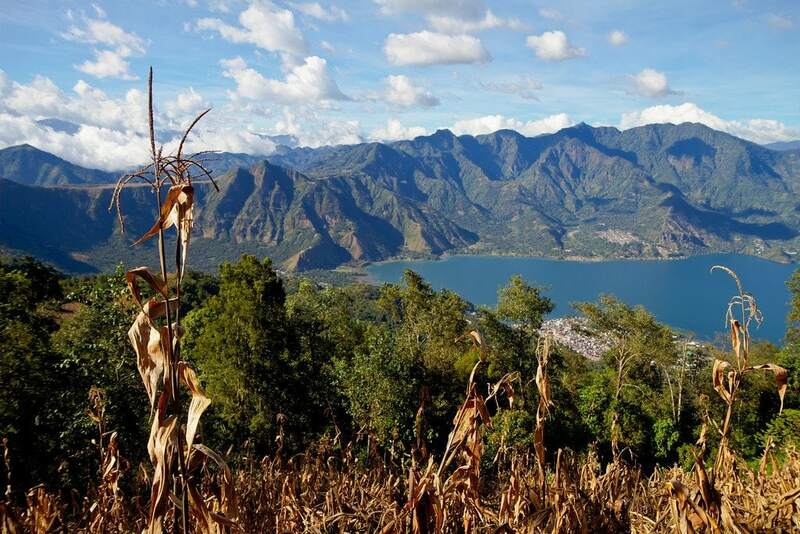 Unlike lakes in the United States, Lake Atitlan doesn’t have many boats on it. This makes it seem that much more untouched and serene. After an hour on the summit, my amigos and our guide Pedro hiked back down, while I spent an extra hour at the top. Photos wouldn’t do this experience justice, I needed video. I also wanted to really soak it all in, and only 1 hour at the top didn’t feel like enough time. It was cold & windy up there, so I threw on my jacket to bundle up. Not long after, clouds started hitting the side of the volcano and flying right up into me. I was now inside a cloud for the first time (airplanes don’t count). Not fog, but actual clouds. Another new experience to add to my list! Company: Just ask around for Pedro! Have you ever hiked a volcano before? Planning a trip to Guatemala? Drop me a message in the comments below! Hey cool article! I’m going there in a couple weeks, this hike goes on my list :) Is there any info on that cabin online? Thx! This was a very cool experience hiking this volcano. It was quite a grueling 5000 feet hike up. The views are amazing. We had a great guide named Lorenzo with a very special street dog friend named Bobby. Bobby apparently hikes up the volcano nearly every day with Lorenzo just in hopes of a couple snacks from the hikers. 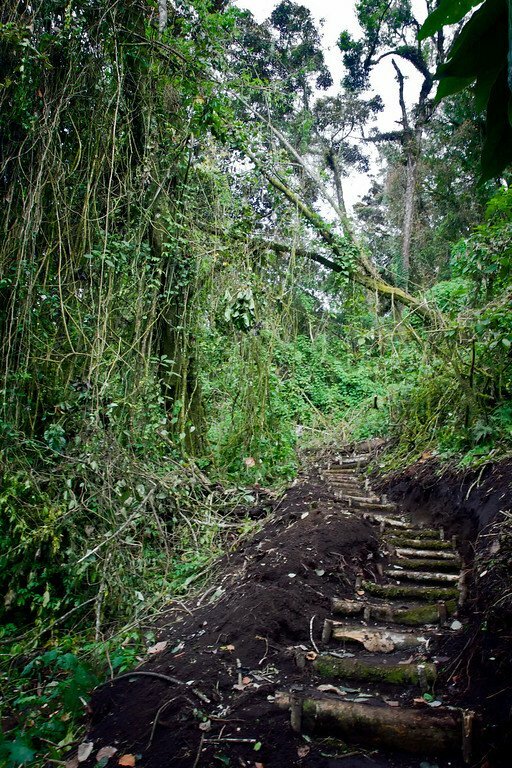 Nice description and photos of your hike to the top of San Pedro Volcano. What time of year was this? Is it possible to start the morning in nearby San Marcos and still get an early enough start before the clouds start rolling in, or do you recommend staying in San Pedro the night before? We are heading to Belize and Guatemala for the month of March. Heading down next month! Anyone know if Pedro is still in business? This sounds like a worthwhile venture! I would liked to have seen more photos from the summit, there was just the one with everyone in it, no landscape shots of the environment. Your video didnt work btw. ‘an error occurred please try again later’ … I would loved to have seen it, i imagine there was a more comprehensive viewing from the summit. I took your advice and hired a guide. Also we were told we would get lost without a guide. NONSENSE! It’s totally doable on your own. Each little trail beside the main one is just a shortcut so there is no way you would get lost. This hike looks and sounds so incredible! I loved reading your story and seeing your photos. I am heading to San Pedro in November and I hope I am able to find Pedro. He sounds like a great guide. Thanks again for sharing your experiences! I am so excited to hike this volcano. i live across from the volcano currently on a private estate. I plan on hiking this volcano soon. Matt I will look for Pedro in town. He is in San Pedro not San Juan correct? I’ll update after the hike. I concur with the amazing summit views! I just wanted to add my story of a great guide. I found him at the dock area (Santiago side). He speaks great English, and is an all around really good guy. He goes by Nicholas (or Kiwi). 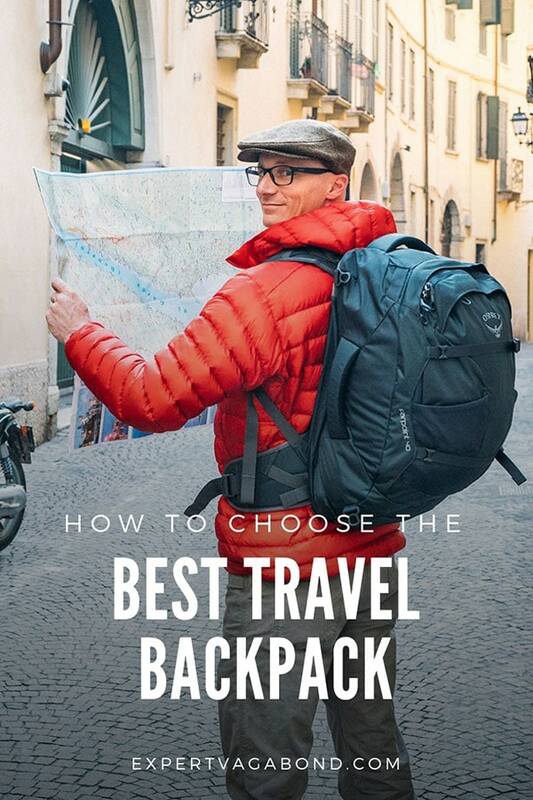 I wasn’t sure if I even needed a guide. I generally do things like this without. Glad I went with Kiwi. He arranged the tuk tuk ride, and guided me to the point where the trail has no more splits. From there he instructed me on how to get to the summit, we took a picture together and he was on his way. Then I was hiking up this beautiful volcano happily by myself at my own pace. Entry fee to park is 100Q, tuk tuk was 15Q each way, and I gave Kiwi 50Q. All of this for 180Q. Leave early. It gets hot! I got into tuk tuk at 7 am (we met at dock), took about 3.5 hours hiking up to the summit, spent a good hour there, and about 1.5 hours to get back down. Be warned. It’s steep and almost entirely all up. VERY much with the effort. Enjoy! We just made this climb on Nov 3 2015. Great hike and amazing views. 100% safe unlike Aqua. We booked a tour guide in San Pedro with the guys in black shirts who have a little info booth on the right as you leave the dock. It was 160 q per person and that included admission to the volcano, transport to and from the trail head, and our guide Julien. Get ready for a steep climb! But don’t give up. It might be the best summit view I’ve seen. Thanks for the update Alex! Do you have an email or company name for Pedro ? I will be staying in Páni And The hike is my one goal! Thanks Sue! No, but the town is tiny. Just ask around and you should find him Sue. do you book the tour in some company day (in Pana or San Pedro?) before or just found the guide st the bottom of the volcano? I am at Pana, and I do not know what to do better – to go to San Pedro and to find some guide there or just book the tour here at Calle Santander. We booked in San Pedro, from Pedro. Not sure there is an actually company office, just ask around town for Pedro. He’s well known. thank you, i used tornado’s excursions, long story, but i can not recommend it to anyone. Your photos are getting better. No Bruce Lee imitations with a bizarre scarf and a machete. I was going to introduce you to Stephen King. Adventures of the Bald Vagabond. If you remember, that Everglades boardwalk had those Bromeliads things on the trees. Nine thousand feet in three hours. 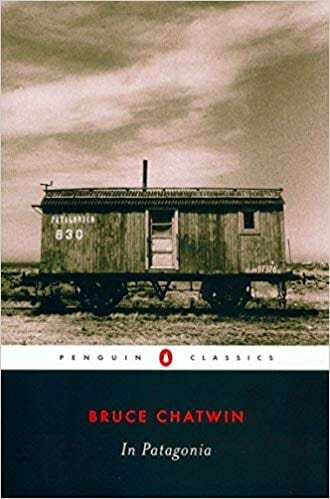 Was there a tramway? That’s very good time. The hike wasn’t directly from the bottom, the town itself is part way up the volcano, and we rode a TukTuk up a bit higher to the entrance. What fabulous photos! What am I thankful for-that you hired a guide! So many incredible adventures-how great! What an excellent place and great to see the hiker’s-eye-view on the way up to the top. 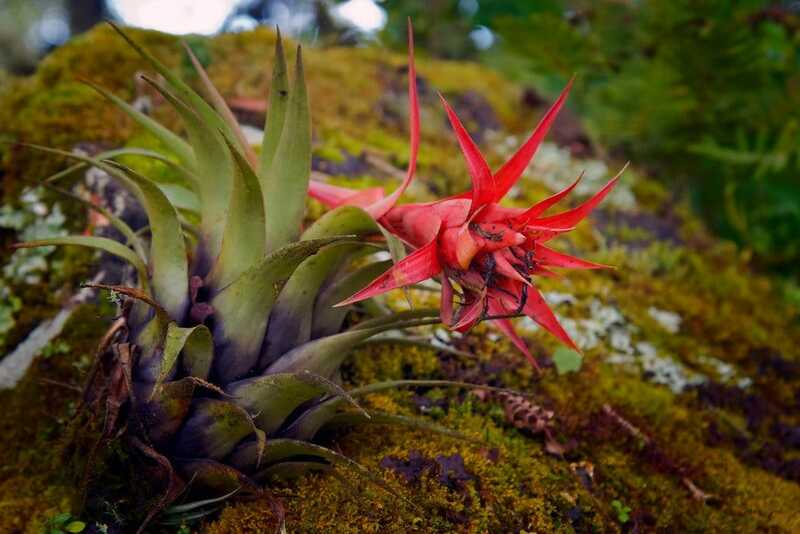 I can help with the plant with the red top – it’s a bromeliad. OMG,the view looks amazing!! And here I am still recovering from Thanksgiving meals. A 3 hr climb up a volcano sounds just like what I need right now.